When it comes to biological makeup, women are different than (but equal to) men. They get menstrual cycles, go through menopause, and bear children – each of which places its own specific challenges on their bodies. This is also why women nutritional needs are different too. 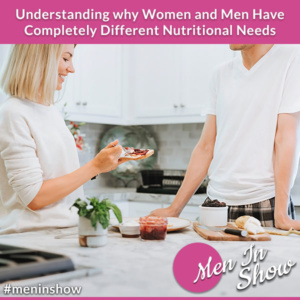 There are a variety of reasons why women nutritional needs are different from their male counterparts. While some of these reasons are blaringly obvious (e.g. pregnancy and lactation increase the amount of energy, vitamins, and minerals a woman needs to be able to support themselves and their growing baby), others aren’t. Some of the nutritional needs that aren’t so blaringly obvious relate more to a woman’s physiology (how a woman’s body normally functions). For instance, most of us are already aware that older women are at a higher risk of developing osteoporosis after their bodies go through menopause. This is why doctors pay close attention to their vitamin D and calcium levels. Teen girls who eat home cooked meals perform better in school – something that’s probably true for teen boys too. Pregnant women shouldn’t eat for two, but they should have a few extra servings from each food group throughout the day, especially during their second and third trimesters. Women who are breastfeeding their children need 105g of fatty fish per week. Women who are going through menopause need to do some weight lifting exercises to help strengthen their bones. Any woman who’s at high risk for iron deficiency (e.g. due to losing a lot of blood during menstruation or giving birth) should eat more iron rich foods like red meat and liver. Of course, this is only one of the women nutritional needs we should bear in mind because women naturally lose more blood each month than men do. Menopausal women tend to gain weight during this time of their life, which is why it’s so important for them to make sure that they eat properly. Much of the information that’s found throughout this book surprisingly also applies to men’s nutritional needs as well. For instance, the dietitians strongly encourage women to make sure they eat plenty of vegetables, fruits, whole grains, seafood, low or non-fat dairy, legumes, and nuts. They also encourage both men and women to seek out a dietitian to talk to about their eating habits. While this food guide specifically addresses women nutritional needs it also can help both men and women feel their best. It doesn’t matter what changes your body may be going through (breastfeeding, menopause, or anywhere in between), you always want to make sure you’re doing what’s right for your body so it remains in optimal health.